Our eight Luxury guest rooms are individually designed and furnished; with each interior reflecting our love affair with Japanese design and culture. Each room boasts a comfy seating area, where you can unwind after your journey. Three rooms also benefit from a modern external balcony with seating, where you can sit on a summer’s evening and enjoy a drink before dinner with views looking out over our courtyard to the looming bulk of Winder. We have used local crafts people where possible to add touches of luxury to your surroundings. Each room boasts a luxuriously comfy super king-size bed, finished with bespoke British wool blankets created by Laura’s Loom of Sedbergh. Some of the floors are covered with hand-crafted deep pile carpets made using Rough Fell and Herdwick wool, created by local artisan manufacturer Wools of Cumbria Carpets. Others showcase the original floorboards discovered in our refurbishment. 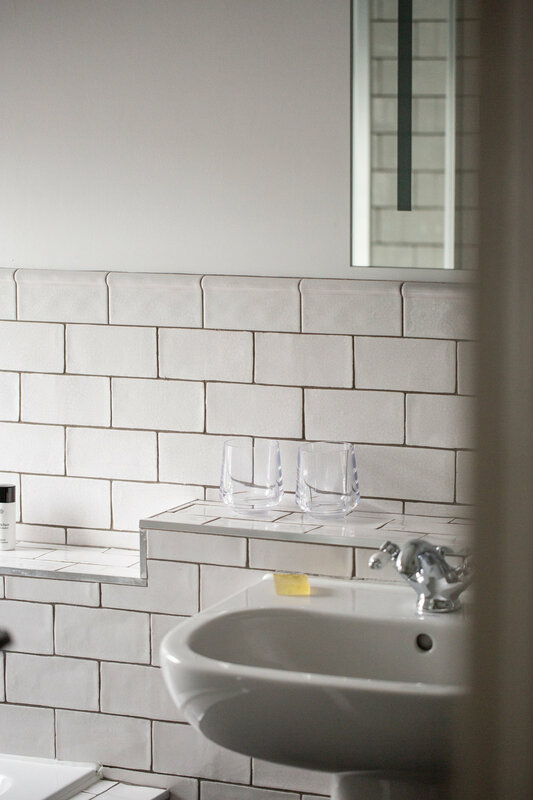 Each of our unique bathrooms is a haven of tranquillity and we are sure you will agree with our range of ‘Petrichor’ toiletries; (a word which describes the evocative earthy smell of rain falling on dry earth), designed exclusively for us by The Sedbergh Soap Co.